phem is the latest and most permanent iteration of Liv Marsico’s creative alias’. She’s been making music for years in the LA scene. Cutting her teeth in the Low End Theory world, I first heard her on Nocando‘s “Little Green Monsters.” At the time she was making waves with her band Liphemra. She also as a hired gun drumming for studio sessions and touring acts. An accomplished jazz drummer, phem went to a creative arts high school where the emphasis was on musicianship. But while working on Liphemra, Liv felt uncomfortable in her own skin, and living space. Renting a dingey recording space, and living illegally in it, her life hit an uncomfortable low. Thankfully a strong support group helped her out of the situation, and she emerged stronger. 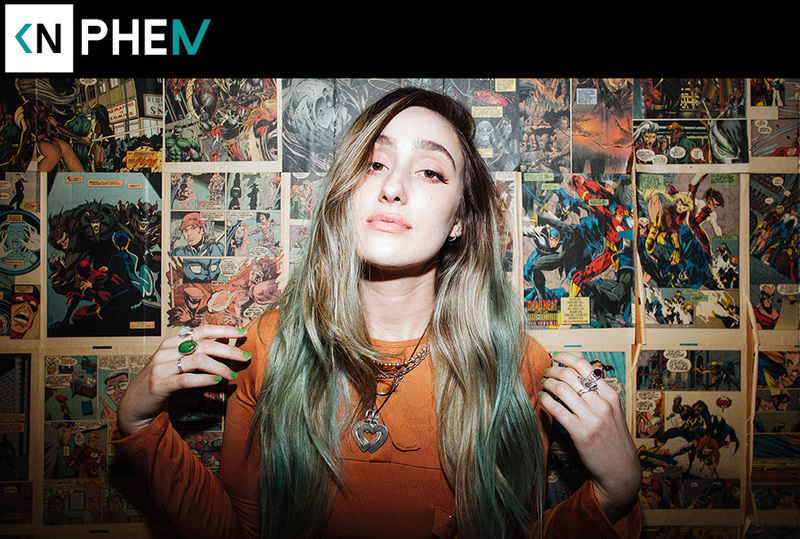 Now more comfortable with herself, her art, and her sexual identity (“I just like people, man”), phem is ready for her moment. “Blinders” is a fantastic summary and, in turn, elevator pitch of her music and personality. I was instantly drawn to the song and think you guys will be as well. Go check out phem’s latest EP Can’t Kill Me and hear our long convo about her journey. We talk about growing up in the valley and commuting for school. She reveals her lifelong relationship with drumming. We get in depth about her low point living out of a studio. Then, of course, she performed an excellent rendition of “Blinders” live in studio.